Available information strongly indicates that North Korea has built and is operating a lithium 6 production plant that is part of its nuclear weapons effort. 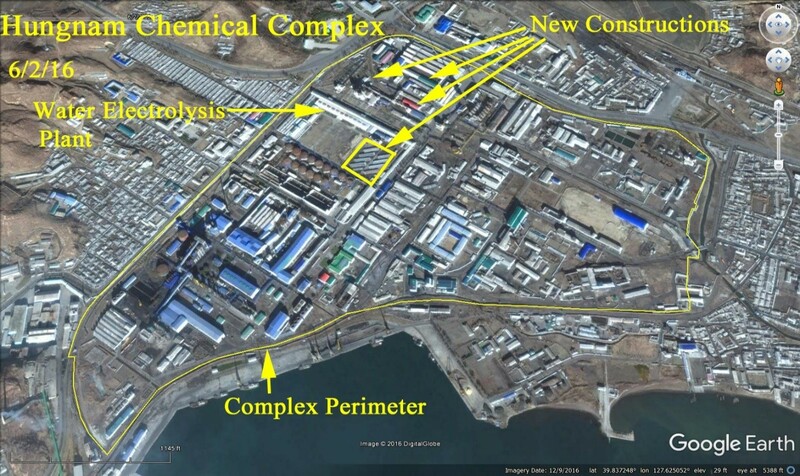 The plant is suspected to be located at the Hungnam Chemical Complex near Hamhung on North Korea’s east coast. Lithium 6 is a critical raw material needed for the production of single-stage thermonuclear and boosted fission weapons. These findings add credibility to North Korea’s claims that it has been developing thermonuclear or boosted fission weapons, regardless of the actual status of those efforts. These findings also demonstrate long term planning and commitment to such weapons. For several years, North Korea has been concentrating on expanding and refurbishing its nuclear complex with the oft-stated goal of expanding the quantity and quality of its nuclear weapons. One aspect of that expansion has been its development of the capability to make thermonuclear materials. These materials when used in a fission-based nuclear weapon allow for much greater explosive yields and further miniaturization of nuclear weapons. A fundamental thermonuclear material for nuclear weapons is lithium 6, a soft, silver-white metal. When used as a target element in a reactor or a nuclear weapon, lithium 6 reacts with a neutron to produce tritium (T), the most important thermonuclear material for weapons. When tritium fuses with deuterium (D) it releases relatively large amounts of energy and neutrons, becoming a key reaction driving a thermonuclear explosion and leading to more efficient fissioning of the plutonium or weapon-grade uranium in a weapon. 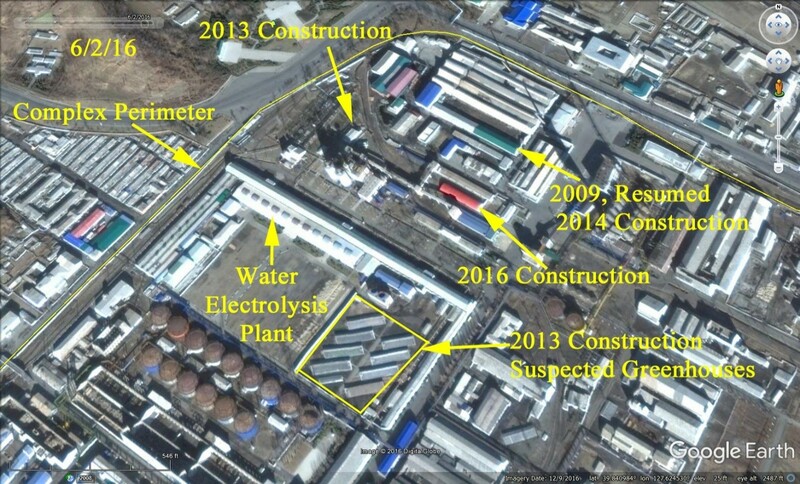 Based primarily on procurement data, North Korea appears to have built a lithium 6 production plant near the city of Hamhung on the east coast of North Korea. The existence of this plant adds credibility to North Korea’s claims that it has been working on thermonuclear weapons for several years. Armed with this plant, North Korea is in a far better position to deliver on its ability to improve the quality of its nuclear weapons by making crude types of thermonuclear or boosted fission weapons. Lithium 6 can also be combined with deuterium and sometimes also tritium into weapon components for thermonuclear weapons. When fashioned into components of nuclear weapons, the lithium 6 creates a method using neutrons from the nuclear explosion to greatly magnify the number of D-T reactions. In essence, using an abundant background of neutrons, lithium 6 produces a copious supply of tritium that then fuses with deuterium, adding greatly to the explosive yield through its own reaction and more efficient fissioning of the plutonium or weapon-grade uranium in the weapon. Lithium in combination with deuterium and/or tritium can be used in either one or two stage nuclear weapons; a two stage weapon is the traditional H bomb, and a single stage weapon can have multiple designs, which have been called an onion or a layer cake design. North Korea is likely unable to produce two-stage thermonuclear weapons, but it may be developing single stage weapons. This design is easier to achieve than a two-stage weapon but can achieve very high explosive yields. In the case of North Korea, a single-stage thermonuclear device could use a plutonium core with lithium 6-deuterium and/or lithium 6-deuterium-tritium solid components. The device would also be expected to have shells of weapon-grade uranium. A British one-stage thermonuclear device tested in mid-1950s with a plutonium core had 100 kg of weapon-grade uranium in multiple shells and achieved an explosive yield of several hundred kilotons. Lithium 6 is a stable isotope that exists in nature. However, it has a relatively low natural abundance of 7.56 percent in natural lithium, for the bulk of lithium is lithium 7. For use in nuclear weapons or tritium production, the lithium 6 fraction must be typically increased to 40-95 percent of the lithium via a chemical enrichment process. If the lithium 6 is for tritium production in a reactor, the fraction of the lithium 6 in the targets placed in the reactor is limited to about 40 percent to prevent failure of the targets. For use in nuclear weapons, a 95 percent fraction of lithium 6 is desirable. The mercury exchange process involves an amalgam of lithium and mercury which is made via electrolysis. Subsequently, the mercury lithium amalgam is mixed with an aqueous lithium hydroxide (LiOH) solution. Lithium 6 has a slightly higher affinity to mercury than lithium 7, so lithium 7 diffuses out of the amalgam more quickly than lithium 6, leaving the amalgam with increased, or enriched, concentration of lithium 6. The lithium 6 can be separated from the amalgam. The tailings fraction of Lithium 7 is electrolyzed from the aqueous solution of lithium hydroxide. Afterwards, the lithium hydroxide can be reused. What was procured? Most of the procurements were for industrial-scale equipment. Included in the order was metric tonne quantities of mercury and tens of kilograms of lithium hydroxide. Given the procurement of these two materials and the replacement of mercury with less harmful metals in many industrial processes, the purchase of mercury in combination with lithium hydroxide is a strong indicator that North Korea is using the chemicals in a mercury-dependent lithium 6 production process. The procurement evidence is reportedly contained in a 2012 North Korean contract to arrange the purchase of a wide range of industrial and lab-scale equipment and materials abroad in China. The purpose of the contract is not included but the list of goods, including the mercury and lithium hydroxide, implies they are for a lithium 6 enrichment plant using the mercury exchange method. The most likely site for the lithium 6 plant is the Hungnam Fertilizer Complex near the city of Hamhung in North Korea. The procurement contract had handwritten notes stating that the goods were needed urgently and the procurements involved the Hungnam complex. The Hungnam complex makes sense for a lithium 6 production plant. This site is involved in ammonia processing and fertilizer production, and has electrolysis facilities. We were unable to locate a lithium 6 production site at the Hungnam complex using commercial satellite imagery. Such a facility is not very distinctive in such a large complex (see figures 1 and 2). Moreover, equipment, which includes tanks and columns, would be brought into the building after the roof is installed. Nonetheless, by using historical Google Earth imagery, we could identify new construction in the period of 2009, 2012-2014, and 2016, which is identified in figures 1 and 2. However, it should be noted that the equipment may have been put into a refurbished building. We are unable to estimate lithium 6 output. But one would expect that North Korea would build a plant able to produce at least tens of kilograms of lithium 6 per year. This rate would allow both the use of lithium 6 in nuclear weapons and the production of many grams of tritium per year. North Korea’s choice of the mercury exchange method is further supported by examining its scientific and engineering literature. North Korea has devoted considerable effort to the research and development of lithium 6. Analysis of open source literature reveals that North Korea has conducted theoretical and experimental research on this and other lithium 6 production processes since the 1990s.7 The mercury-dependent process is based on immersing a lithium-mercury-amalgam in lithium-containing solution, such as aqueous lithium hydroxide. Both cost and efficiency of the separation process depend on several factors, and many of them have been studied by North Korea. Among them are kinetic studies, which determine the speed of the process,9 and differences in experimental results and theoretical predictions.1 Except for the mercury and lithium components, the process includes many variables that North Korea can take advantage of to improve, re-scale, or disguise the enrichment. First, there are variables in the synthesis of the lithium-mercury amalgam, then there are variables during the isotope separation. One study shows that North Korea has used electrolysis of aqueous lithium hydroxide for the preparation of lithium-mercury amalgam at least on the laboratory scale.10 The following are a few variables from North Korea’s isotope separation studies: amalgam composition,11 solvents,12 column length and design,13 and stirring systems.14 Two of these studies show the common use of aqueous lithium hydroxide in the process.15 All this research comes on top of more general fluid mechanics studies. Studies on how these factors change when the individual process is repeated in an enrichment cascade have also been published. A 2004 journal article focused on the reasons why “concentrations of isotopes abnormally fluctuate with time in an […] enrichment cascade.”16 In this article, some references are made to unreported studies. The length of time North Korea researched the mercury exchange process, combined with procurement data and the ease of making necessary sensitive procurements in China, provide strong evidence that North Korea has built a lithium 6 production plant. There is little reason to doubt that such a plant is operational. The recent attempt by North Korea to sell lithium 6 metal in China supports that conclusion and suggests that North Korea is making more lithium 6 than it needs in its nuclear weapons program. These findings add credibility to North Korea’s claims that it has been developing thermonuclear or boosted fission weapons, albeit likely crude ones that may still not work. But with more nuclear testing and time, North Korea is likely to succeed.